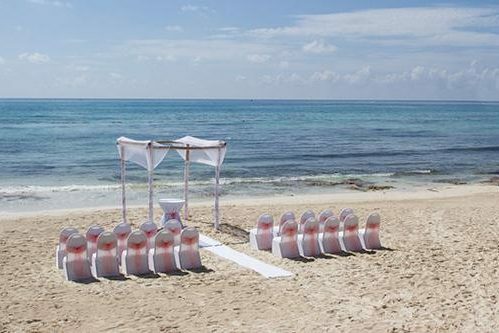 Now Jade Riviera Cancun will make for a magnificent destination wedding, located minutes away from the quaint fishing town of Puerto Morelos and the second largest coral reef in the world. With ample tropical space around the resort and azure infinity pools with views that spill over into the equally blue ocean, the options are endless to create the wedding ceremony of your dreams. 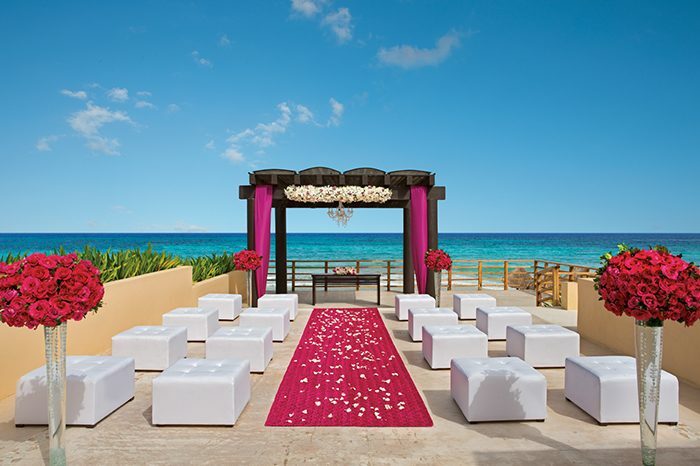 Now Jade Riviera Cancun offers stylish decor and sophisticated color palettes throughout the resort, perfect for couples who have a modern destination wedding in mind. 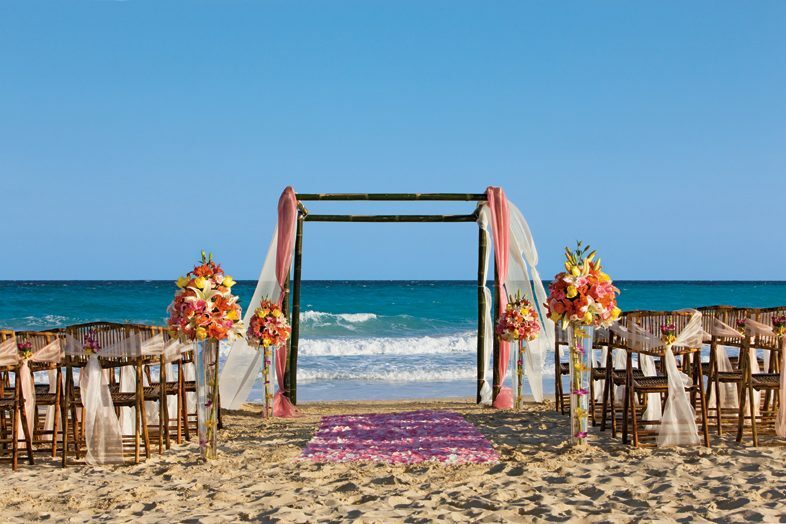 The beach is smaller than many nearby resorts which will make for a more secluded beach ceremony. Your wedding guests will have access to an adults-only section with separate pool and bar area. We are proud to say we are one of the AM Resorts preferred partners, so we are able to offer additional amenities to our couples! 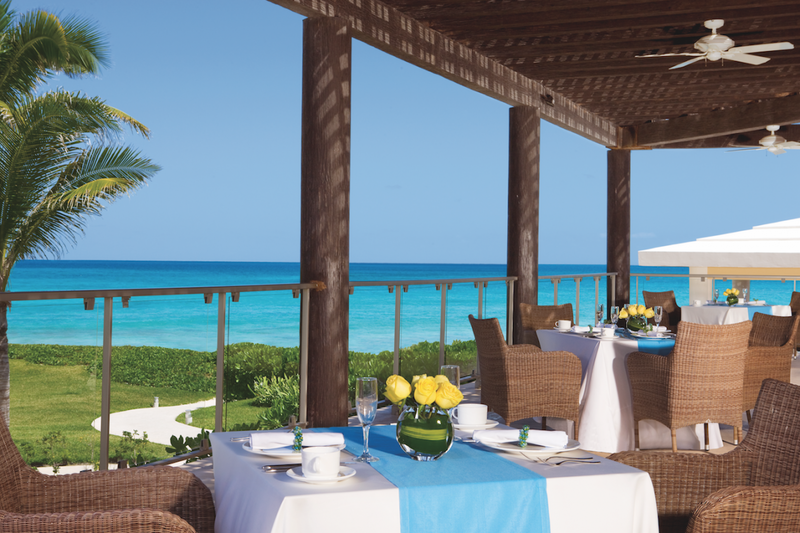 These include romantic continental breakfasts in bed, spa treatment discounts, and free romantic dinners. Contact us for more details. 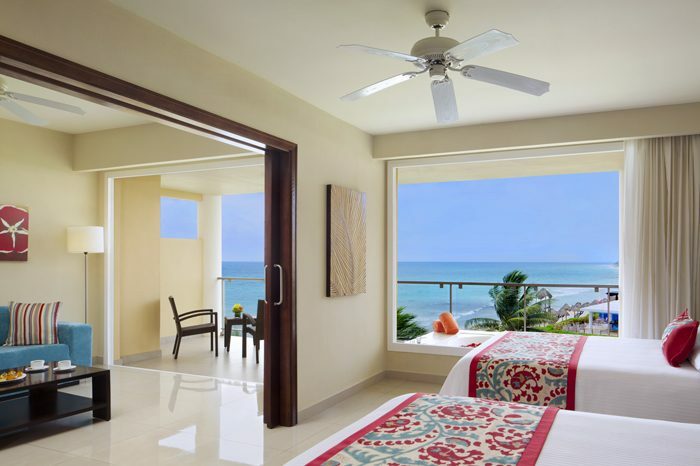 Preferred Club Junior Suite Ocean Front room category or higher, or if 5 rooms are reserved for a 3-night minimum in any room category. Indian wedding packages are available. Packages have reduced rates during the months of August, September, and October. Upgraded packages, additional guests, and add-ons are available for an additional cost. Seaside – 120 guests max, Beach – 80 guests max, Pergola – 80 guests max, Fountain – 40 guests max. 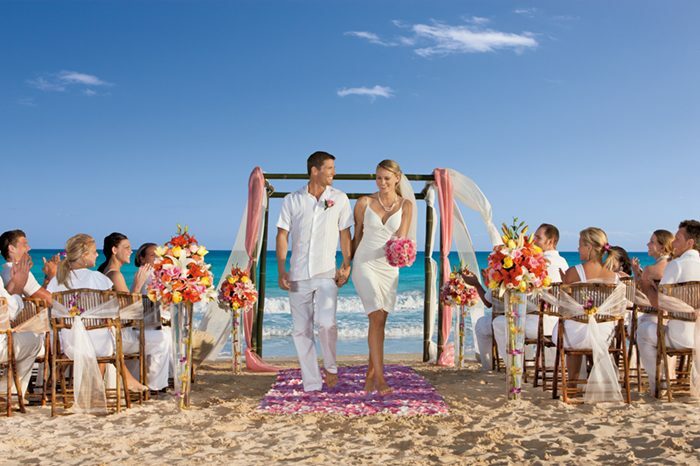 The Now Jade Riviera Cancun can host up to 2 weddings per day. The resort does their best to schedule weddings accordingly and across their multiple venues in order to provide privacy to each party. $135 – $270 average price per person per night. Rooms include private balcony or terrace, and daily restocked minibars. Children 2 and younger stay free. There are 550 rooms with garden or ocean views. 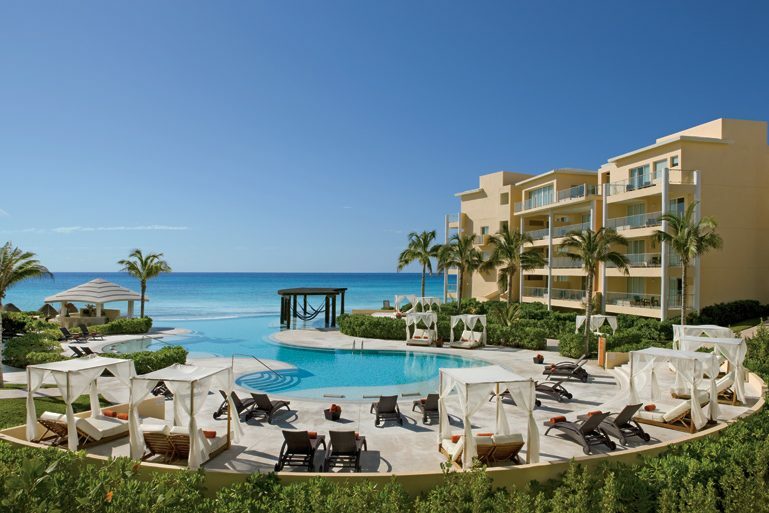 Due to the large sprawling nature of the resort Now Jade Riviera Cancun is recommended for more active guests. The resort’s busiest months are November, December and March when chances of sell-out are most likely.